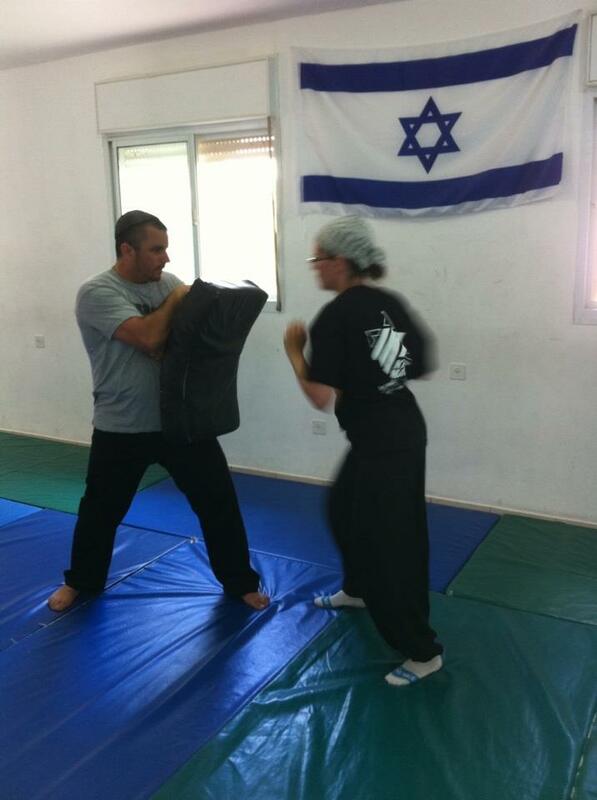 Channel and Faye, Krav Maga is for everyone, all sizes and genders, all ages, welcome. This morning we were filming some clips for our Krav On Line program. Our camera-woman, who was new at this, let the camera roll a little too long. As a result when I sent out the Krav Maga video clip to our members about 10% of the e mails came back, undelivered, file was too large. In the car on the way to our Mall, Channel pointed out that he in fact did receive the video clip without any problem. And yet about 10% of our members did not. The presented an interesting question. How do we deal with this situation? Option One - Contact the members whose e mails failed and convince them to upgrade to a better e mail service. Option Two - Cut the video down to only the essentials, and have it small enough in size so that everyone will be able to receive it. In fact, that is what I just did. I contacted Mike and he kindly eliminated the unnecessary parts. I sent it out and ...Viola, no returned mails. And Now the Krav Maga application. Tour and Train is now beginning. We have a young woman who trained in a style which required memorizing 100 moves for her recent belt test. We have another guy who has trouble focusing on complex moves. We have ...all kinds of people. Some big, some strong, some young, some old. I can send out a video clips that only those with advanced e mails can receive. For the rest...my e mail will fail. I can teach Krav Maga techniques that will only work for some people, and for the rest...will fail. That is simply not good enough. I want ALL our members to receive my clips, so I reduce the clip. I take out the nonessential parts. No fluff, no unnecessary chit chat, only what you need to see. And that is what I do with our Krav Maga. IKI Krav Maga. I want it to work for the less coordinated, I want it to work for the slow and clumsy, I want it to work even for police officers who have little time to train yet must deal with difficult situations, I want it to work for little girls. I want it to work for everyone. So I take out the complicated parts, I distill it down to what works. Those with greater ability can always add to it! If you can grab your opponent and throw him over your head - by all means I will not stop you. If you can do a flying jump kick to the head - More power to you. You have that option. But if I teach that fancy stuff to someone weaker or smaller, or less coordinated, or older...(the majority of the population) they will not have other Options. I want people to have options. I minimize the techniques and leave the door wide open for those who want to add a "follow-up", be that a kick or a throw. When people join IKI with years of Judo, Jujitsu, Kung Fu, whatever, I tell them there is no need to erase their memories. There is no need to delete all prior knowledge. If you have skills that you can adapt and use as part of your Krav Maga training, skills that do not violate our basic principles, feel free to use them. We are based on simple, proven concepts and fundamentals. The rest is up to you. Moshe: We had a female stop by tonight who is a ‘level four’ in KMXW. She wanted to find out the difference in our style and hers. I told her it was significant and explained a little before class. Bottom line is that she was absolutely blown away with how we do things and with the simplicity, the little “tweaks” that make huge differences and the simplicity. Not sure if she’ll be back but she was openly impressed and awed. Our gun defenses put her in shock (in a good way) and having the problems with her gun defenses explained really hit home.